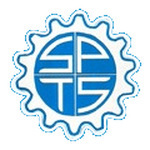 Established in the year 1965, at Kolkata, West Bengal, India, we “Shew Pujan Thakur And Son's”, hold specialization in manufacturing superior range of shuttering & scaffolding system. Adhering to our consistent quality approach, we ensure that each product is free from slightest of defects. In addition to this, we are backed by highly skilled workforce, that consistently work for customer's satisfaction & keep themselves updated with latest market technologies. Owing to these factors, our products are used in different industries like Construction, Engineering and Building. We also provide our customers with excellent quality soldier channel (m&h), internal corner panel, standard panel, plate (adjustable) and telescopic steel prop. Manufactured using superior quality basic material, these are known for their dimensional accuracy and resistance against corrosion. All these factors, have earned us reputed clients like Eco Cement India Ltd., Modi Projects Ltd., KEC International Ltd. , DEC Infrastructures Projects (India) Pvt. Ltd. , Sidharth Construction & Trading Pvt. Ltd.